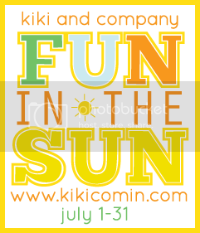 kiki creates: a quick and fun project. LOVE all the colors and how "spring"y it makes me feel to look at it! Have you started changing your decor for springtime? linked to inspired by charm. luv it1 super cute! i think that i could make that as i sit on the couch watching wayy too much tv! So cute Kiki. I want to make one....it makes me ache for spring. Such a cute project. gorgeous! do you have a tutorial on it? Will you please post a tutorial on how to make those flowers? I think I get the general idea but mine never look that...thick? Do you just use an insanely long strip of fabric for each one? Oh my, I LOVE it! How cute. Please post a tut. I've been in need of a spring wreath! Love all the fun spring time colors! I've seen your shutter headboard all over the blogworld, it's great! Found you on girlcreative's bloghop! wow I LOVE this wreath! 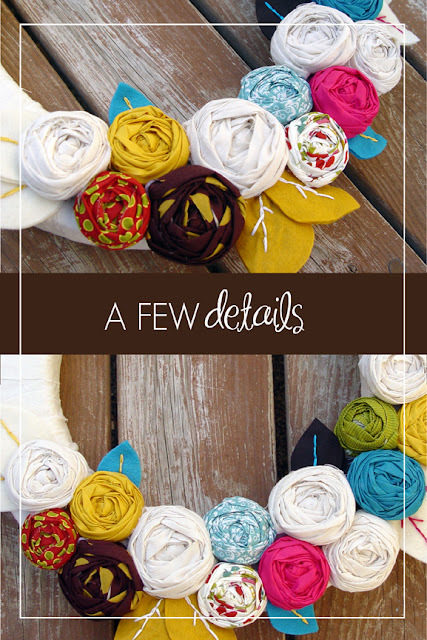 Keep seeing these quick & easy wreath ideas in blogland & always love them...really need to make one asap! Its adorable! I love it!! I would love to know how you made it!!! That would be a great gift for someone on Mother's day!! Tutorial... please? What a fun project! This could look great with pretty much any decor and style, Love it! This looks great.. A spring wreath is actually on my to-do list!! Tutorial please!! So pretty and fun looking! Your wreath is so beautiful!! It is very Spring-y, I love the look, and the colors! Visiting from Tatertos & Jello. SO SO pretty!! Great job. Just popping over from TT&J. Quick and Fun...I'm all in!!! Love the look you have here...think I will surprise my 21 year old daughter with one for her condo. Cute wreath! Love the colors! I adore it! you did a great job! Gorgeous! I love all the different fabrics and colors. Super cute. I might have to make one! All the colors make me EXTRA happy.. I love this so much! I shared it on my new blog www.nestingtime.blogspot.com. I hope this is OK? I'm new to blogging... I was sure to link back to your page! i love colorful...this is very cute! The huge burst of color against the white is brillian! I just love this wreath! Very creative and lots and lots of fun!!!! I really need to make this one! I love fabric, so this wreath has spoken to my heart. I love the colors that you chose for your fabric flowers. Lovely. Your wreath is so pretty! I love all the colorful rosettes - so fun for Spring! I love how the fabrics are all a little mismatched...it's adorable!! The polka dot strip for hanging is perfect! This is the most gorgeous wreath ever! I will have to attempt to make one! Thanks for sharing! Super cute! I would love to know how to make these flowers. I just wanted to let you know that I included your wreath in a post of fun wreaths for Spring on BabyCenter's blog Momformation! simply gorgeous! you did a fantastic job. I LOVE your wreath. I think it is so fun and bright. 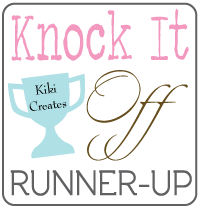 :-) I've linked up to your post as part of my Spring 2012 Spring Wreath Round Up. 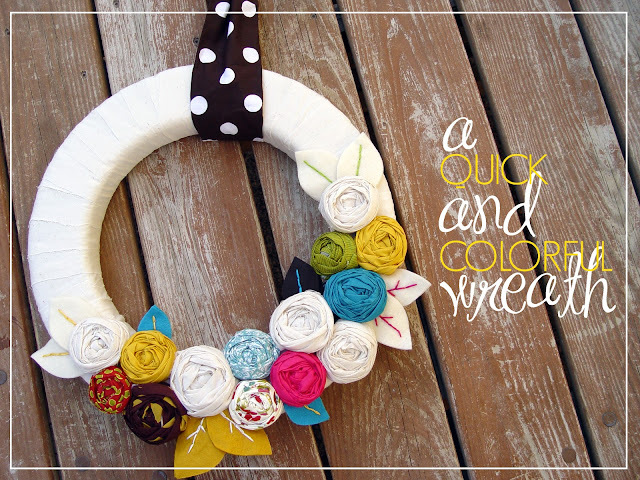 Featured this wreath on my 20 Great Spring Wreath Ideas. Gorgeous wreath. You did a fantastic job! 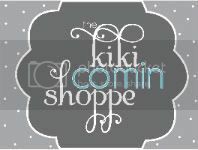 Hi ~ Just found your site through Brown Paper Packages! Love this wreath! I'd love to make it... but I'll have to practice with the rosette's first!